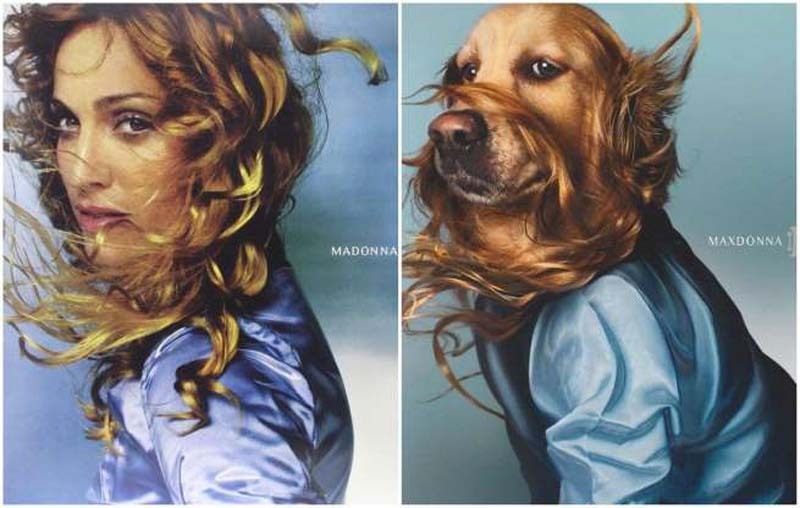 Photographer Vincent Flouret has managed to recreate some of Madonna's most iconic shots using his dog, Max, in a series entitled "Maxdonna." 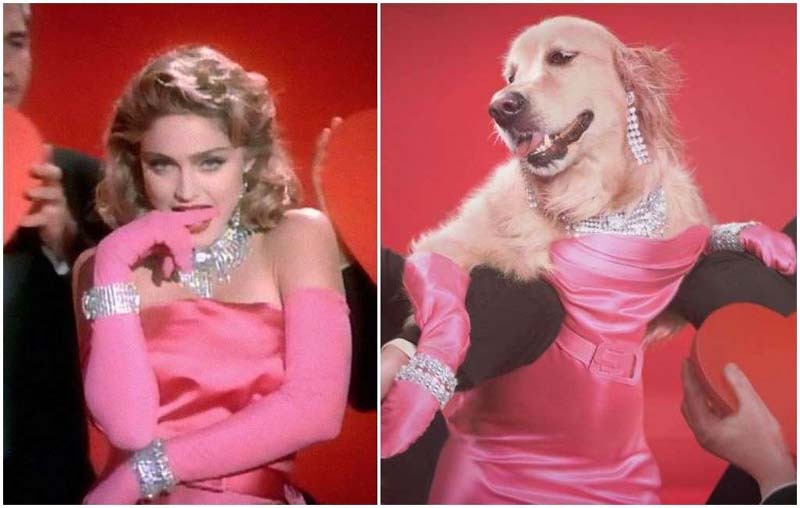 If you've seen the viral video of Madonna doing her "Vogue" dance in the ICU of a children's hospital in Malawi, you know she's still got her moves. 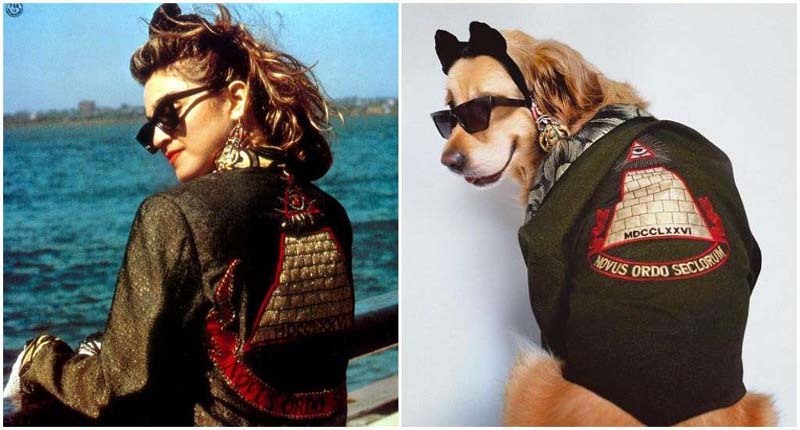 But now she's got a little bit of competition in the form of a 6-year-old golden retriever named Max. His human, Vincent Flouret, is a Paris-based fashion photographer who routinely does glamorous shoots of high-fashion models. 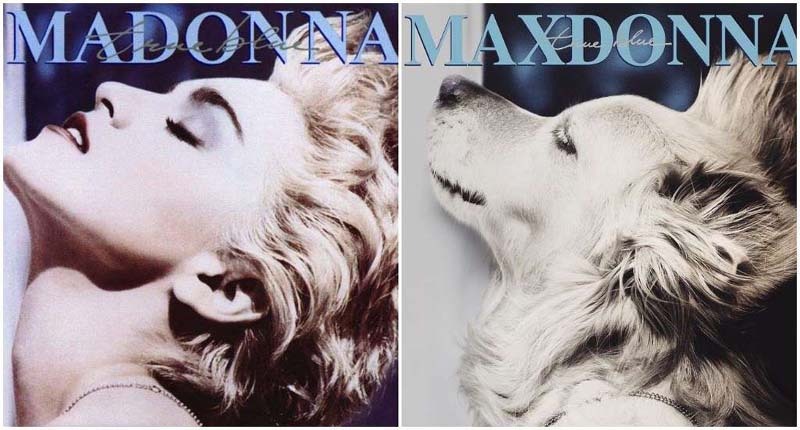 But he recently started doing photo portraits of dogs at a shelter to help them get adopted, and practiced on his best friend, which is when he got the amazing idea for "Maxdonna"—a photo series in which Max tries to nail some of the iconic looks of the Queen of Pop. 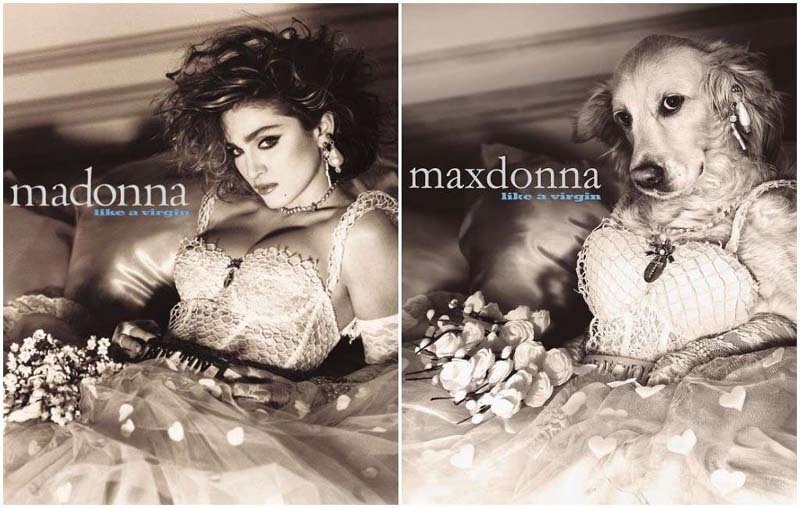 The best part is that all of the money from the sold prints of "Maxdonna" go to Madonna's own charity, Raising Malawi. And it seems the pop icon herself loves the project, given that she retweeted one of the best photos. 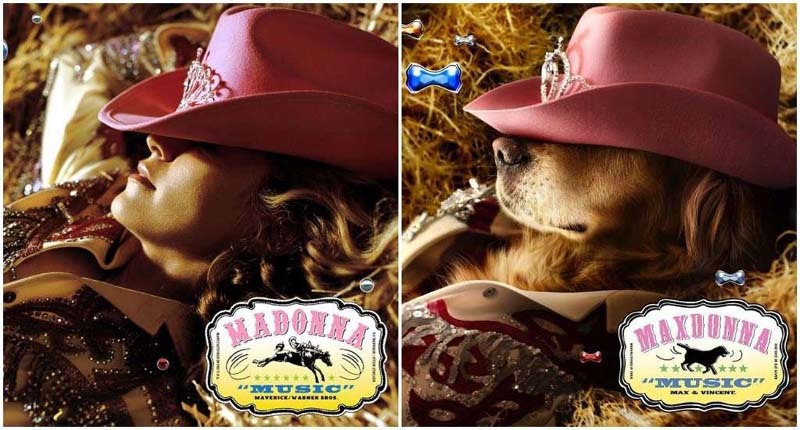 You can check out all of the photos on Vincent's Instagram and website, but here are a few side-by-sides to show you just how much Max manages to capture the fierce essence of this living legend. And for more amazing celeb stories, here's Visual Evidence That Brad Pitt Always Dresses Like His Girlfriends.